With Arsenal eliminated from the Champions League, it was only normal for a football enthusiast like me to take some sorta pleasure watching the other matches in the competition with some keen focus on the Barcelona vs PSG game. Luis Enrique put up a very attacking lineup with the aim of scoring as much goals as possible. he even ‘joked’ in his presser that if PSG could score four goals, his lads are capable of scoring six goals. The game began with a rather frantic pace and with just two minutes gone, Luis Suarez showed great anticipation to nick in a loose ball past Kevin Trapp across the goal line and even though Meunier managed to clear it off, goal line technology took center stage as the goal was awarded to the Catalans. That certainly rattled PSG but the home side had some much more in store for them. The Parisiens did their bit to defend in numbers but the home side got an all-important second goal before half time when Layvin Kurzawa deflected Andres Iniesta’s flick into his goal. At half time, PSG’s lead was halved and panic started setting in but their misery was compounded when Muenier slipped on the turf and impeded a clever Neymar. Lionel Messi had not influenced the game as much as he would have liked but he had a chance to put his team three up from the spot and he did with aplomb despite Trapp’s best efforts to dive the right way. With Barcelona leading 3-0, it was looking like fairytale stuff as no team in the competition’s history had overturned a four goal deficit. As fate would have it, Kurzawa attacked the ball and threaded it to Edinson Cavani’s path. The Uruguayan hot shot blasted in his 38th goal of the season with a clinical finish using the edge of his boot. This goal set Barcelona to despair as they now needed a whooping six goals to qualify. They kept on trying and with just three minutes left to play, Neymar swung in a beautiful free kick that beat Trapp hands down. They still needed two goals and with literally no time left on the clock, a moment of controversy arrived as Suarez was adjudged to be fouled in the box by Marquinhos. That was one of those decisions that tend to happen at the Nou Camp every season, so I wasn’t surprised. However, it still required some nerve to dispatch the spot kick and Neymar was the man. 5-1 was still good enough for PSG. I would have expected Unai Emery to add a defender or two to the mix to hold the fort but when Angel di Maria bore down on goal and was fouled by Javier Mascherano, I expected the referee to at least show some measure of consistency by awarding the away side a penalty but he waved off the protests. 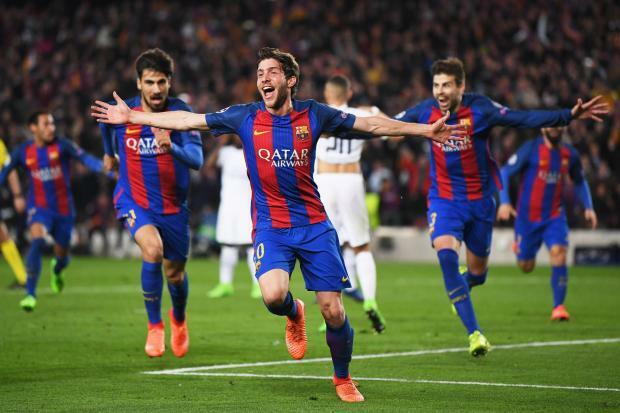 At the last kick of the game, Sergi Roberto scored the goal that sent the Nou Camp to raptures. As expected, the folks at the commentary box went bonkers as they would never have anticipated that such a thing would happen in the beautiful. You’d have to feel really sad for PSG – winning a team like Barcelona 4-0 in the first leg and not still qualifying is heart breaking to say the least. 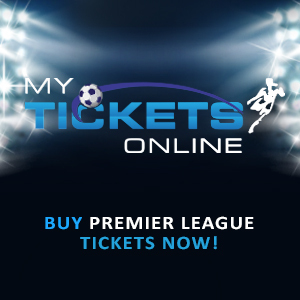 They would now shift their focus to the Ligue 1, as it has become a two-horse race with rivals, AS Monaco. Kudos to Barcelona for an amazing show of class, effort and of course, clinical ability in front of goal. This is my seventh year writing about Arsenal football club on this blog and there are moments I wonder whether it’s even worth it in the first place. Combining this with an engineering job hasn’t been easy as that certainly takes priority from time to time, and the absence of a deputy to hold the fort anytime I’m not available doesn’t make things easy. Then there is the issue of motivation. I love Arsenal through and through but there are days I wouldn’t even be motivated enough to look at my keyboards to type, even though I know what to write about. That’s why I have the highest respect for blogs like Arseblog and A Cultured Left Foot, not just for their consistency over the years, but the way they are run. Let me be honest here – I didn’t expect so much from the team last night. It seemed improbable to overturn such a huge deficit but at the very least, I expected some effort. And yes, we got that in the first half. It was unfortunate to lose Danny Welbeck in the warm up to the game, but he took to Twitter to say that he wasn’t injured, but he suffered some form of illness that prevented him from playing the game. This paved the way for Olivier Giroud to get a run out, even though I would have preferred to see Lucas Perez instead. What does that lad have to do to get a run out with the first team? That’s a discussion for another day. The lads got stuck in, with players like Alex Oxlade-Chamberlain putting up a master class in midfield and after 20 minutes, the Gunners got what their play deserved – a wonderful goal from a rather acute angle by Theo Walcott. After receiving the ball on the edge of the area, the Englishman looked across goal and saw that there was no teammate to square the ball to, so he chose to take a punt that beat the legendary Manuel Neuer on his near post. That goal gave the Gunners some momentum as they continued to attack their visitors. Another great opportunity opened up when Skhodran Mustafi fed an inch-perfect pass to Walcott but he chose the wrong option of firing the ball to the side netting when he should have squared the ball to his onrushing teammates in the six yard box. It was those kind of first halves you wished that they never finished but the Gunners went into the break feeling good about themselves following a very strong team performance. At the start of the second half, the Gunners had a chance early on to make it two as an unmarked Giroud nodded the ball over the bar with the goal gaping. Its these sorts of moments that shows the gulf in quality between Arsenal and the ‘bigger’ sides in European football. Had that ball gone in, the Gunners would have been two goals ahead of the German side, some sort of ‘belief’ would have energized the side and most importantly, panic would have been Bayern’s watchword, but Giroud decided to unleash his inner Edinson Cavani at such a pivotal moment. Then the unthinkable happened. Laurent Koscielny was adjudged to have fouled an offside, yes offside, Robert Lewandowski in the box and with him being the last man, the ref sent him off. It was rather comical as the ref brandished a yellow card for the Frenchman, but on further consultation with the fifth official, he changed his mind and sent the Arsenal captain for an early bath. Which was pretty sad as that same official failed to notify the ref about a penalty Theo Walcott would have earned after he was impeded in the box by Javi Martinez. Just like Koscielny’s exit in the first leg, the floodgates opened and the team crumbled. Lewandowski converted the penalty to equalize the tie but Wenger elected to play Granit Xhaka as a center back alongside Mustafi rather than sending Gabriel Paulista into the fray. Maybe he didn’t trust his player enough to thrust him into action but that fundamentally lies with him for buying a player he can’t even trust to do a job for him under the circumstances. The visitors took the lead when Alexis Sanchez went on one of his needless dribbling sprees, losing the ball at the edge of the box to Arjen Robben of all people, that wasted no time in placing the ball past David Ospina. Shortly afterwards, there was a flurry of goals from Douglas Costa and Arturo Vidal, repeating the scoreline of the first leg. More embarrassingly, that was the worst ever aggregate an English team had received in the competition. At the end of the game, you could see how deflated everyone was. Wenger managed to muster a handshake with Carlo Ancelotti before taking a shameful walk from the stadium. His post-match presser was quite interesting and as you’d expect from persistent journos, he was asked about his future, which he replied with a simple ‘I don’t know’. It’s really embarrassing to see how things have gone so bad at the club as a season which promised much early on is returning to the normal state we find ourselves as Arsenal fans. The Gunners are 16 points behind Chelsea, crashed out of the EFL Cup to eventual finalists, Southampton, and for the seventh season in a row, have been eliminated from Europe’s elite club football competition. To make things worse, they are currently fifth in the Premier League and will need to go on some sort of winning run if they want to qualify for the competition next season. The FA Cup offers the only hope of silverware this season but with the likes of Manchester United, Chelsea and Tottenham in the competition, I am hopeful for the lads to do enough to go all the way in the competition. Finishing in the top four and winning the FA Cup should be the ideal way for Arsene Wenger to say goodbye after two decades with the club. That’s enough ranting for one day. Time to focus on that engineering job.